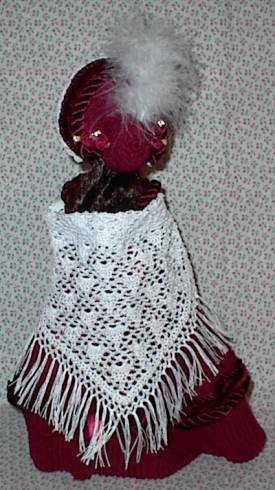 This dress is done in a burgundy color thread with burgundy accents. The shawl is done in white. 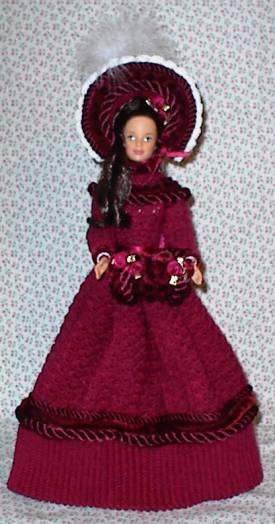 Comes with dress, bonnet, muff, and shawl.